Officials of The Ministry of Health and Welfare of South Korea announced yesterday, that they are considering to take legal action against RNL BIO CO, a Korean company that has been allegedly carrying stem cells operations in Japan and China. The announcement came after a Japanese newsparer revealed that hundreds of Korean citizens have received stem cell treatments in a dermatology clinic at Fukuoka, Japan. Officials claim that RNL BIO Co., a Seoul-based bio venture, treats on average more than 500 Korean patients per month while more than 3,700 people have been treated in total. 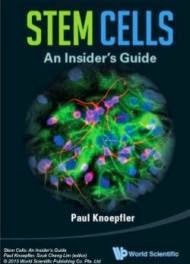 Stem cell treatments are prohibited by Korean Law. RNL BIO Co "bypassed" this problem by arranging its patients to go in other partner clinics out of South Korea including Japan and China. As of now, stem cell use in South Korea is only allowed for research purposes. Violators of the law face up to 5 years of jail and fines of up to 20 million won ₩. According to the officials of the Ministry, RNL BIO Co has clearly broken the law, but it will be hard to take legal action against them, since all treatments were carried out in foreign countries. "We have to look into facts, but it is clearly a violation of Korean drug law if (the company) cultured stem cells without approval in Korea and injected them into patients,"
"But if the stem cells were manufactured and injected overseas, it would be hard to apply a local law to the case"
Video of a patient who received a stem cell treatment from RNL BIO. Supposedly his health was greatly improved.